Patrik Berglund is approaching return after being cleared for contact on Monday. The Blues made a move which reveals his return this week. Caron has dressed in four games with the Blues. He played 25 games with the Chicago Wolves, registering nine goals and five assists. Caron is 6'2 and 198 lbs. The Blues sent him back to the Wolves today in order to make room for the 6'3 Swede. 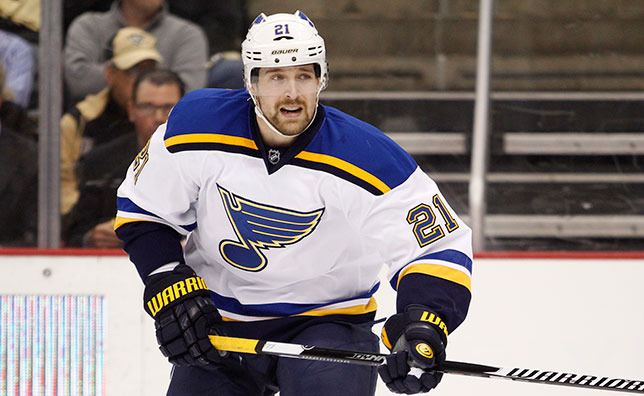 Berglund might play in Saturday's game against the Toronto Maple Leafs. Is this a good thing? Is he what we need to break the inconsistency? Tweet us at @bluesbuzzblog or drop a comment below. Well said. I think his return will help us out a lot. If not, Jaden will be back soon. I'm not too worried about it.